EVOO is an acronym for Extra Virgin Olive Oil. Extra Virgin Olive Oil is the finest quality in oil. It is more pristine in condition and less oxidised and therefore higher in polyphenols and anti-oxidants – which makes it extremely healthy for you – and incredibly delicious too! 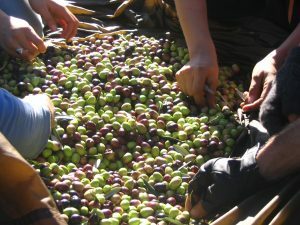 Extra Virgin is the term used to describe the best quality in Olive Oil. For an olive oil to be classed as Extra Virgin the oil must have an acidity level (Free Fatty Acid or Oleic Acid) of less than .8% and have a peroxide value of less than 15. 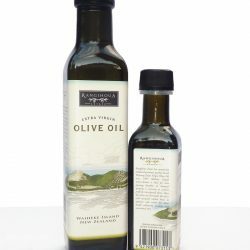 Rangihoua Estate Olive Oils are all very carefully cultivated, harvested and processed to ensure they all achieve a very low acidity and low peroxide values. 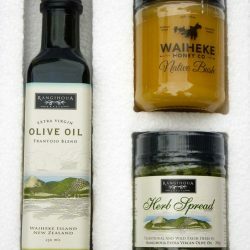 As a result, all of Rangihoua Estate’s Olive Oils are Extra Virgin. Further to this, the oil should pass a sensory tasting to confirm there are no taste faults. That’s why we enter our EVOO into international competitions. 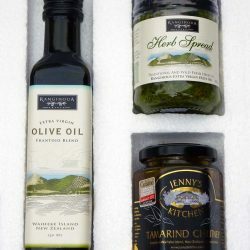 As a testament to the extremely high quality of our Extra Virgin Olive Oils, Rangihoua Estate regularly wins global awards.